We provide Lawn Care Service in Lynn, Swampscott, Nahant, Salem and surrounding communities. 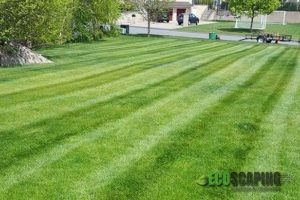 We realized that there was a demand for lawn care by homeowners who didn’t have the time or expertise to achieve their ideal landscaping needs. By answering every call we receive, returning messages promptly, and showing up on time for estimates, we put great emphasis on customer satisfaction. You are our first priority. Our crews are well-trained and uniformed. Whether mowing your lawn, mulching, aerating or trimming your hedges, we will send the right people to do the job with the right equipment. EcoScaping is always working on improving our service to our customers and making things more efficient to keep costs down, allowing us to provide great service at a reasonable price. We want you to know that if there is ever a problem, please do not hesitate to call us at 781-366-5597 or email and we’ll fix it to make sure it does not occur again.